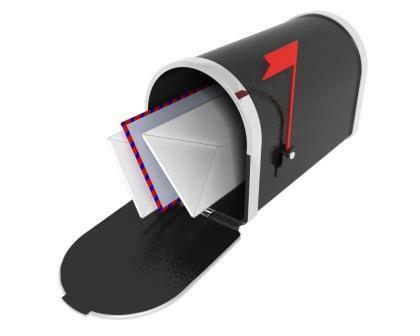 Home | Marketing | Direct Marketing | How Effective is Your Direct Mail Envelope? You’re at work and two mailshots land on your desk. One envelope has a handwritten address; it’s of a good quality and you notice it’s lumpy. The other envelope by contrast has a label affixed at an angle; the sender has graced it with incorrect details and to add to this ignominy it’s one of those tatty brown envelopes you associate with bills and final demands. It’s flat as a pancake too. Which envelope are you going to open with some enthusiasm and which one will you lob into the bin without a backward glance? Now I know that we’re not talking about an advert in this particular case but exactly the same principle applies. If you want your communications – mailshots, adverts, press releases and flyers and some to melt the heart of the coldest prospects you must achieve impact. Back to the envelope and why you can’t afford to overlook its importance…. It’s a crucial part of your highly targeted and personalised direct mail campaigns. You see as we have blogged about previously direct mail is very much the comeback kid. After a few years of being made to stand outside the classroom whilst the social media kids were having a good old scrap inside, businesses in the b2b sector have now awoken to the fact that they can’t reach all of their prospects through social media and even if they could, there are limitations. Spending every working moment tweeting about business will go down like a lead balloon because most of us are not on social media sites with the prime purpose of promoting our business to the exclusion of a good old chin wag. Direct mail on the other hand when done properly gives us a tantalising opportunity to get our message right under the nose of our prospect or client. But it all starts with that envelope. So many businesses fall at the first hurdle by overlooking the part that the envelope has to play in generating a fantastic first impression and so achieving a positive impact.